On Monday, October 15, 2018, The Small Business Development Center (SBDC) New Jersey at Brookdale Community College will present its fifth annual “Women Entrepreneurs Rock” event at the legendary Stone Pony in Asbury Park, NJ from 6:00 pm-9: 30 pm (with networking until 10 pm). This free event is for business owners and aspiring entrepreneurs throughout New Jersey. The goal of the Women Entrepreneurs Rock event (#WeRockSmallBiz and #WER5) is to facilitate a real dialog about topics that are important to women business owners, with this year’s focus on empowering others. This is, by far, not your standard business function. From the topics to the venue to the speakers, our goal is to meet entrepreneurs where they live and offer current and candid insight, as we did in our previous events. No formalities and no canned responses…just real information from those who have successfully navigated the process of launching and growing a business and leading a team. The panelists will discuss their backgrounds, successes, and challenges along the way and offer advice to fellow business owners. There will also be live Q&A exchange as well as the ability to pre-submit questions for the panel to discuss at the event. NJSBDC at Brookdale Community College is proud for you to meet our 2018 panel of dynamic entrepreneurs! 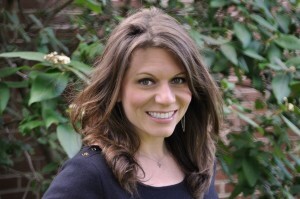 Melanie Willoughby currently serves as the Director of the New Jersey Business Action Center. The New Jersey Business Action Center (NJBAC), housed within the New Jersey Department of State, is the “one-stop shop” for businesses to access a variety of resources and support. NJBAC offers free and confidential assistance to help businesses grow. Government navigation and permitting assistance is one of many important services offered. The team helps companies of all sizes save time and money by getting answers from government agencies, directing businesses to appropriate officials and contacts, and facilitating meetings and follow-ups from regulatory agencies. Melanie is no stranger to the New Jersey business community and brings unparralled experience from the private sector. Most recently, Melanie served as the Chief Government Affairs Officer of the New Jersey Business & Industry Association (NJBIA), the nation’s largest state-level business association representing over 19,000 member companies that collectively employ more than 1 million people. A seasoned government relations strategist, Melanie has worked with state and local levels of government as an advocate for businesses of all sizes. Prior to joining NJBIA, she served as the president and CEO of the New Jersey Retail Merchants Association, a statewide retail business organization representing over 3,500 stores. She also served in Governor Brendan Byrne’s administration as director of State and Federal Government Affairs for the New Jersey Department of Community Affairs. Melanie is actively involved in many community and civic organizations. She serves on the Board of the Rutgers University John Heldrich Center for Workforce Development, the Board of Isles, a Trenton economic empowerment organization, and the Board of the Rowan University South Jersey Technology Park. She is a Rutgers University Eagleton Institute Visiting Fellow, serving as a mentor to Eagleton students. She has a bachelor’s degree from Rutgers College, where she was in the first class of women to graduate from the college. She was the first woman to be elected president of the Rutgers Student Government Association, and the first woman to be president of the Rutgers College Alumni Association. She also served on the Rutgers University Board of Trustees, representing Rutgers College. Melanie has been the proud recipient of many honors, including the Rutgers Hall of Distinguished Alumni Award, the Executive Women of New Jersey Leadership Award, NJ Association of Women Business Owners Leadership Award, the Girl Scout Council Woman of Achievement Award, NJ Women’s Political Caucus Women in Leadership Award and the Loyal Daughter of Rutgers College Meritorious Service Award. Gloria Booker is the co-owner of Eternity Funeral Services, LLC, located in Englewood, New Jersey. Being in a male dominated profession, Gloria is constantly demonstrating her love, passion and strength to families that are entrusted to her care. From a young age, Gloria developed a hunger that fueled her desire to excel. Obstacles were never seen as insurmountable challenges to Gloria but rather inspirations to catapult her to the next level. Her motto is “by any means necessary”. To this day, Gloria remains motivated while striving to be an inspiration for young ladies working in non-traditional positions. Because of the love she received at home, it is only natural for her to desire to help others. Gloria graduated from Elizabeth High School, where in her senior year she started her first job at a law firm and worked there throughout college. 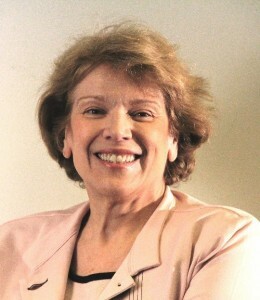 She attended Fairleigh Dickenson University and majored in Communications. Her goal was to go into television and affect change in the roles and depictions of women in entertainment. She garnered internships with a few major television stations in the New York market (NBC, UPN, and WB), and was offered a sales position with UPN9 in New York. She then became the Programming Promotion Specialist for WUTB in Baltimore, Maryland and UPN9 in New York. In subsequent years, Gloria would also work as the Associate Director of Graduation Admissions at Felician College, and later at Seton Hall University. After being in business for many years, Gloria entered American Academy McAllister Institute of Funeral Service in New York City, and graduated in August 2018. In a few short weeks, Gloria will complete all of her requirements to become a full-fledged New Jersey State Licensed Funeral Director. Gloria credits her successes to her tenacity, as well as the unwavering support she receives from her husband (and co-owner) Aree, their 4 beautiful children, and her family. Realizing that entrepreneurship required the same hard work and dedication that she is accustomed to in her life has been more than rewarding for her and her family. Jacquie Fiorito is an independent private jet charter broker powered by Apollo Jets, the nation’s largest and most respected firm in the industry. She has eight years of executive experience as Chief Operating Officer and Executive Vice President of Sales and Marketing in worldwide Part 135 and Part 91 flight operations. In 2010, Jacquie founded Book It! and Cook It! Author Based Events, bringing numerous celebrity authors and chefs to Monmouth County in support of national book tours by top-tier publishing houses. She is a former thoroughbred jockey and remains actively involved in thoroughbred racing as the breeder Luck Be a Lady Racing. She is a trustee on the Brookdale College Foundation Board, serving as the Board Development Chair, and supports the Tigger House Foundation as a committee member for their annual Infinity Event. Jacquie finds that her most demanding and rewarding work to date is as the mother of twin 14 year old sons, David and Michael. Susan Hordych, along with her husband Stan, are the proud owners of Suzi’s Sweet Shoppe. For Susan, it all started as a teenager when she worked in a candy store and fell in love with making chocolate. 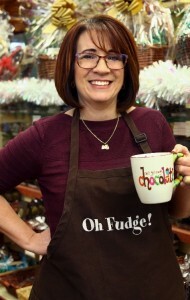 That passion for candy and chocolate only grew, and together they started their business in 1998, where they make their homemade chocolate and fudge right in the store. This year they are celebrating 20 years in business. Susan is a certified Gift Designer and continually attends gift basket and candy conventions around the country for inspiration, new ideas, and continuing education. She has also co-authored the book Journey to Joy, aimed at inspiring other women to find joy by following their dreams. She is a member of the Gift Basket Association and Gift Basket Professionals. Suzi’s Sweet Shoppe also gives back to the community by supporting several organizations including March of Dimes, Autism Speaks, Ronald McDonald House, Red Bank Rotary, and Breast Intentions. In addition to winning numerous awards locally for their chocolate and candy, including the Best of Monmouth nine years in a row, Suzi’s Sweet Shoppe was also named as an honoree this year in the New Jersey Family Business of the Year Awards. The Shoppe was also previously featured nationally on ABC News 7 for National Peanut Butter Fudge Day. Susan employs five women at the Shoppe, two of whom are her daughters and one sister. Susan and Stan are expecting their 11th grandchild and firmly believe that their sweet Shoppe is where the love of family meets the love of chocolate! Alexandra Michelle Gonzalez is the CEO and founder of Savvy Marketers (SM), a marketing consultant firm that focuses on strategies that ignite and unleash innovative tactics for businesses, their teams, and brands all over the world. She started SM seven years ago on her own in her house – no partners, no loans. 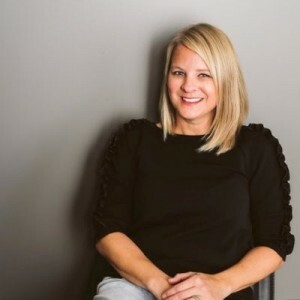 She has worked for Top Fortune 500 companies – serving as Vice President of Marketing for ERGObaby®, and also worked 11 years in various global and regional marketing management roles at Johnson & Johnson. With over 25 years of global marketing experience across different businesses including Private Equity, Healthcare, Consumer Goods, and Banking, she’s created and developed a strategic approach that helps organizations expand their brand with innovative ideas that solve and provide product development that presented breakthrough results. Alexandra has been a leader in providing strategic guidance to Chairmen; Presidents and CEO’s on Strategic Planning; Category expansion; New Product Innovation; Equity & Positioning; Marketing & Executional Excellence; Market Research; Emerging and Developed Markets; Design Thinking; and Disruptive Strategy. Alexandra graduated from The University of Sacred Heart in Puerto Rico, and followed it with an MBA from Harvard Executive Business Program. 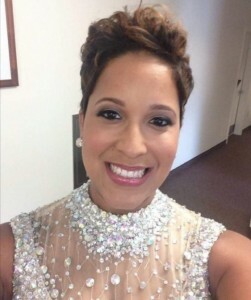 She has partnered with several non-profit organizations, such as March of Dimes, and will be Mercer County 2019 March of Dimes ambassador along with several other civic boards. Nothing is as important to Alexandra as her husband and three beautiful daughters. As a mother of premature twins, she helps educate the community about premature babies and children’s health. Her blog, “Surviving Multiples”, is a platform that supports other mothers that went through what she experienced when carrying her twins. Marketing Rival builds communities that yield profitable social media relationships for its clients’ products and properties. The agency is located at Bell Works, the reinvention of the former Bell Labs building in Holmdel, NJ – two million square feet of stunning mid-century modern architecture designed by Eero Saarinen. It’s where Marketing Rival works inspired. Jennifer has been an entrepreneur since 2010 when she founded her first boutique PR and marketing agency serving NJ shore business owners. Prior to running her first business, she worked for Bette Midler at the NY Restoration Project helping to shape campaigns that raised millions, and brought a million trees to NYC. In 2015, she founded Marketing Rival with Shannon Winning. Today, the agency builds community for Bell Works, plays matchmaker for design bloggers and product brands like Polycor, and brings courage to classrooms across the country with the STOPit app (to name a few). Ivy Charmatz is the Emmy® Award-winning Executive Producer for News and Special Projects at News 12 New Jersey. She first joined the station in 1996, and currently oversees the station’s production of specials, including the very popular On the Road series. She was the executive producer and co-writer of the ground-breaking special that took a powerful and emotionally-charged look at the state’s heroin epidemic. A graduate of Rutgers, Ivy has also worked on nationally syndicated television programs and is an experienced Public Relations expert with an emphasis on message identification and development. Among all of her awards and accolades, she is also the proud recipient of a 2012 Gracie Award for her story on Rock and Roll Hall of Fame member Darlene Love. Ivy was most recently honored as the 2018 Beacon of Hope Award winner for the Leukemia & Lymphoma Society of New Jersey. Although this is a free event, space is limited, so attendees are required to pre-register. There will be door prizes and a cash bar. To register online for the Women Entrepreneurs Rock event, visit or http://womenentrepreneursrock.com/you can register by phone by calling 732.842.8685.